When you are in the market for a pair of Versace sunglasses, knowing how to spot the real and the fake pairs is key. Many knock-offs of the real thing are available for purchase, giving you the designer look without having to pay the designer price. Unfortunately, you often get what you pay for -- cheap sunglasses that fall apart, chip, break and die an early death. Once you know what to look for, you can learn to distinguish the real from the fake Versace sunglasses with confidence. Examine the packaging. Versace sunglasses come packaged in a Versace box, in a sunglasses holder and with a certificate of authenticity. The packaging of the sunglasses is your first clue as to whether you are looking real or fake Versace sunglasses. If the sunglasses come without a box, holder and a certificate of authenticity that includes the Versace logo and information on the manufacturer, which is in Italy, then it is not real Versace merchandise. Knock-off Versace sunglasses tend to come without the box, a holder or a certificate. Feel and look at the sunglasses' materials. Touch and carefully review the plastic and metal. If it feels cheap, lightweight or flimsy, then you are looking at fakes. If the material seems to be quality, sturdy and strong, then you are likely looking at the real thing. 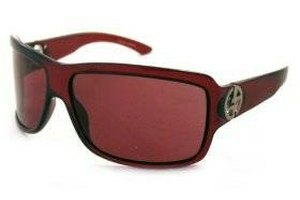 Look at the quality of the logo, engraved items or decorative pieces that are on the sunglasses as well. The quality of these items also indicates whether it is a pair of Versace sunglasses or knock-offs. Identify the manufacturer on the inside of the frame of the sunglasses. The sunglasses should carry the Versace logo and say it is manufactured in Italy. While the paperwork that comes with the sunglasses should say this, real Versace sunglasses possess this information on the actual glasses as well. Identify misrepresentation of the Versace logo. Carefully review each logo on the sunglasses and any supporting documents or packaging that comes with the sunglasses. Knock-offs tend to have a variation -- sometimes slight, other times very distinguishable -- in the logo use. All knock-offs do not share a specific variation in the logo that alerts you that it is fake. Your best bet is to take a picture of a genuine Versace logo with you when shopping and compare it to the one on your sunglasses to ensure the two logos are identical. Verify the word "genuine" in the description in the product's advertisement. 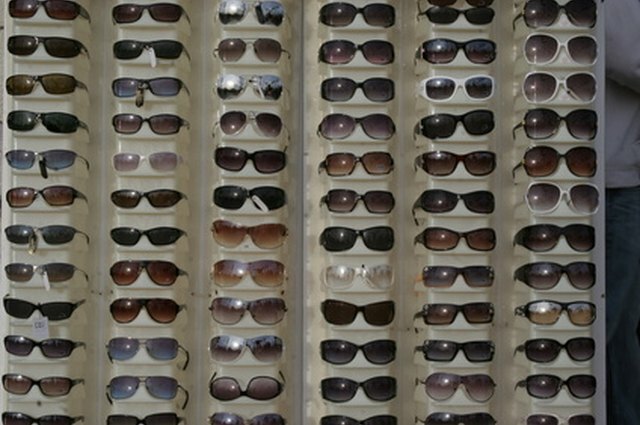 Fake sellers typically avoid this word, or use phrases such as “genuine-like,” “designer inspired” or other phrases that clue you in to the fact that the sunglasses are not real. Identify the price. If the price is too good to be true, then it is probably a set of fake sunglasses rather than the real thing. As of January 2011, a genuine pair of Versace sunglasses can run $125 to $250, even ones that are on sale at reputable sellers.